Milk. There are different types of milk. Dairy, almond, soy, cashew, strawberry, and everyone’s favorite: chocolate. 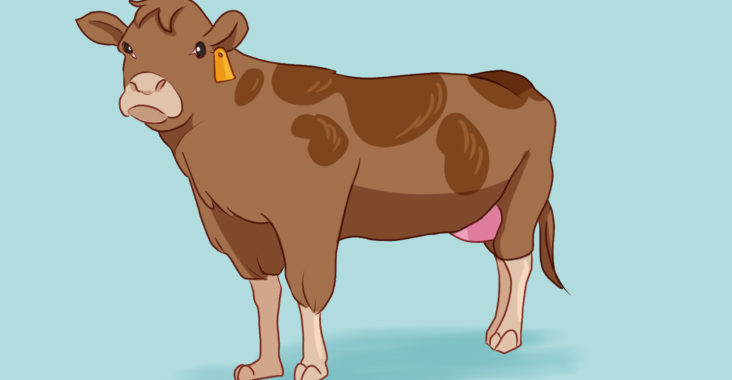 Chuck Kowlick, a food science professor at University of Wisconsin-Stout recently discovered chocolate milk does, in fact, come from brown spotted cows. Kowlick goes into depth of how he made this discovery during his 15-year research process. Kowlick has been a professor at Stout for 10 years now, and has worked and researched within food science for as long as he can remember. “I’ve taught at Stout for about 10 years now and taught the subject for as long as I can remember. I’ve also taught at different, bigger universities around the Midwest too,” said Kowlick. Some of the other universities he’s taught at are University of Minnesota-Twin Cities, Purdue University, and Northwestern University. He made this phenomenal discovery when he was sipping on his strawberry milk, knowing that strawberry milk is made from strawberries. He pondered on the thought of how other milk was made. “I started looking up on Google on how almond milk and other types of milk were made,” said Kowlick. After his crazy research frenzy, he noticed that chocolate milk can and could be made by chocolate, but he wondered if black spotted cows can produce the dairy milk that we consume. He then asked himself if it is possible for brown spotted cows to produce the chocolate milk we consume. “I remember telling my colleagues about it, and they all laughed at me and told me that I was living in some dream land. Little did they know, I was. I was living in a chocolate milk dream land,” said Kowlick. For 15 years, Kowlick spent day and night on his research; looking for the answers that he was desperately searching for. There were times where he felt lost and defeated. He almost quit his research and gave into what his colleagues were saying at one point. Nonetheless, he found his answer when one of his students talked about the brown spotted cows in South America. “I don’t quite remember the student’s name, but I owe them partial credit for my discovery. I went to Brazil, and found that there was a small town called Ouro Preto filled with these brown spotted cows,” said Kowlick. “I remember it like it was yesterday; I met with the locals to get a better understanding of what they know of the cows. It seemed that these cows only ate the cocoa pods that were around, ripe and unripe. It came to be true when I fed one of the baby calves,” concluded Kowlick. Though his discovery became a phenomenon to everyone. Professor Kowlick plans on bringing his research to a bigger audience and has been offered many awards regarding his research and passion for food science and technology.